Convenient paper shelves under the doors. Drawers and keyboard on ball-bearing slides. Durable 1" (25,4mm) commercial grade work surface with melamine finish that resists scratches, stains and burns. One lock secures all drawers. Two utility drawers and one file drawer with letter/legal filing system. Bestar products are warranted to the original purchaser against defects in material or workmanship in the furniture. "Defect" as used in this warranty refers to any imperfections which impair the use of the product. This warranty is strictly limited to the repair or replacement of furniture components. Bestar will repair or furnish a replacement component, subject to availability of stock, if the component is deemed defective within the terms of the warranty. Assembly labor is not included. This warranty applies under conditions of normal use and does not cover the defects resulting from negligence, misuse, unreasonable exposure, or if the product has been modified by the purchaser. Bestar reserves the right to request proof of purchase as well as other proof to document a warranty claim. Bestar warranty is applicable in Canada and USA only. The Bestar 63635 Lateral File Cabinet features two drawers with ball bearing slides. It will accommodate letter or legal size file folders. 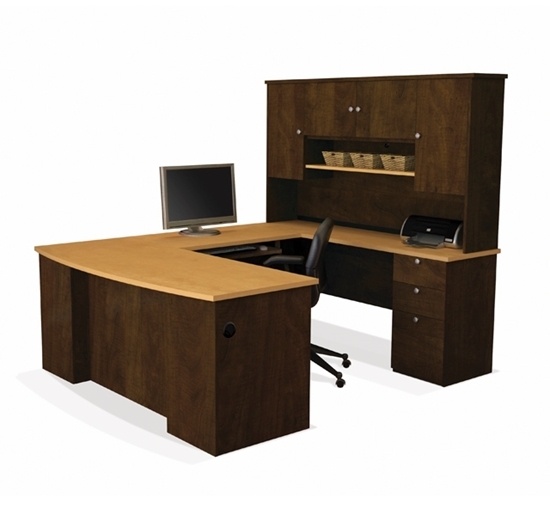 This popular unit comes in Bordeaux finish that coordinates with Bestar office furniture. 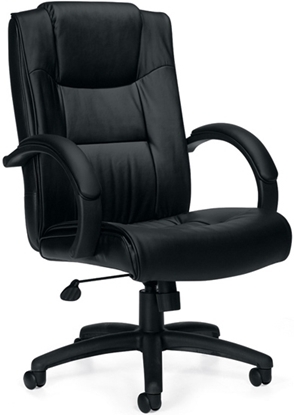 This Offices to Go leather office chair is quality furniture at a great price. This model looks great with an executive desk or home office workspace. 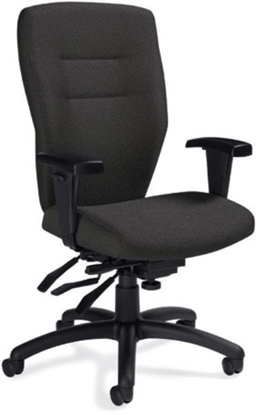 Available in Black leather with height adjustable seat, padded arm rests and headrest. Ships free and includes a full warranty. The Synopsis 5081-3 adjustable office chair was designed by Zooey Chu, a renowned designer. This contemporary high back model features a compound curved back that adds a distinct look while maximizing comfort at an affordable price.